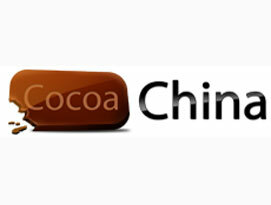 BEIJING – November 7, 2012 – Leading international mobile game company CocoaChina today announced that FreeSkate Xtreme is now available in Apple’s App Store. Published by Punchbox, CocoaChina’s development and publishing arm, in partnership with mobile game developer, VisionHacker, FreeSkate Xtreme is the new mobile game that combines Kinect-style motion control with a fast-paced endless runner. 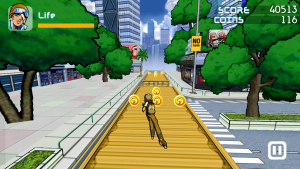 FreeSkate Xtreme integrates with the iPhone or iPad’s front-facing camera to read the body movements players make and translate them into in-game movements: players tilt their head to dodge bullets and collect coins while skating down the block. Carefully timed “bullet moments” step up the pace of the game and keep players on their toes, as players avoid obstacles, complete tricks, and land difficult stunts to show off their skateboard skills. FreeSkate Xtreme will be supported on the iPhone4, iPod touch 4G, iPad with camera, and of course on iPhone5’s 16:9 full-screen display. The game is now available on the iTunes App Store for $0.99. To check out a video showing FreeSkate Xtreme in action, visit http://www.youtube.com/watch?v=xgsYNWg8vF0&feature=youtu.be. To download FreeSkate Xtreme for iPhone, visit https://itunes.apple.com/app/id536482799. To download FreeSkate Xtreme for iPad, visit https://itunes.apple.com/app/id536483340. Founded in 2011, VisionHacker is a game studio operating under Megvii inc. Built upon Megvii inc.’s best-of-breed face recognition technology (http://www.faceplusplus.com), with help of embedded sensors, and a team of cool designers, VisionHacker strives to champion on innovation of mobile game aesthetics and experiences.